Please according to our size shoes inside long choice the correct size.If you feet have a little wide or fact, please choice one big size.Thank you! 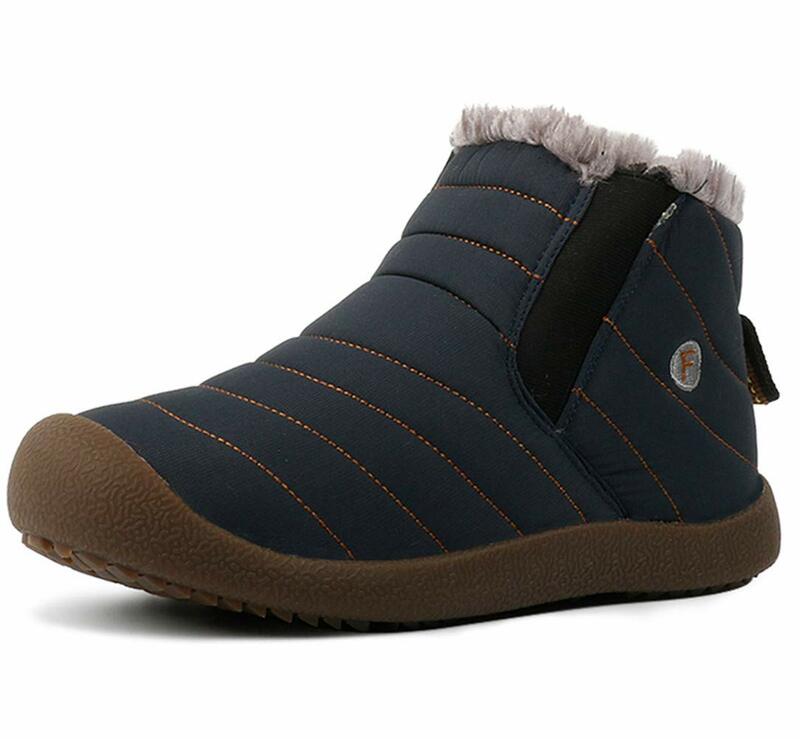 This boots features waterproof fabric upper, warm fur lining, and slip resistant, durable, rubber outsole. This weatherproof boots keep your feet warm and dry for those freezing days. Perfect fur lining keeps us warm in freezing winter. Durable Rubber sole and good-looking appearance. Always all-match with this ankle boots. Slip-on style makes the boots easy to take on/off. These boots are really warmly lined and solid and were perfect for the outdoors men or women. Interior comfort is provided by the soft lining. Suitable for all kinds of people: office workers, students and so on. This may be the best choice for you.The perfect boot for the winter.